cbrown1940 has no other items for sale. 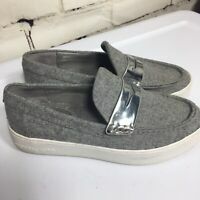 Michael Kors gray slip on shoes. Size 8.